First Parsee boy from Bombay to get selected to train at the prestigious Manchester United Football Club in UK!!! 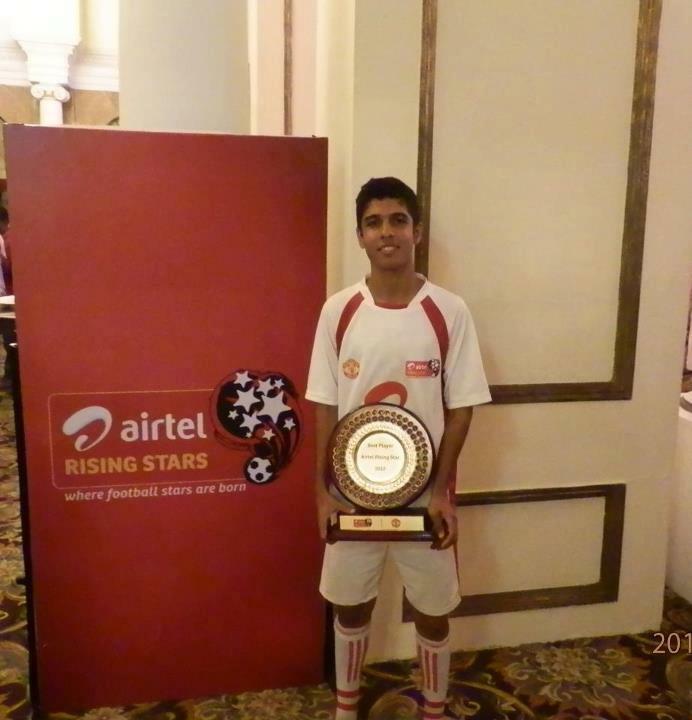 Airtel Rising Starts received 20000 boys from 16 different centres all over India. 3 boys per centre were called to Bangalore for a 1 week final selection done by 4 senior Man-U coaches from the Manchester United Soccer School. The boys were made to train twice a day, strategy, skills, technique, endurance, ball control etc were analysed by these coaches. The grand finale function at the ITC Windsor Manor was a nail biting tention filled atmosphere till the final 12 boys were announced. Porus’s name was declared 6th in the list and the joy on his face upon receiving the trophy was evident. This young Parsee boy will embark on this life changing journey In November and the experience, exposure that he will gain will surely take his footballing ability to another level. The chief coaches Mic Bennet, and Kevin O’Connel commended Porus on his footballing skills and tactical ability which was a super compliment from coaches of this calibre. Porus Shroff has captained the Maharashtra State U 15 team & was also selected the Best Player in the MSSA inter school tournament.